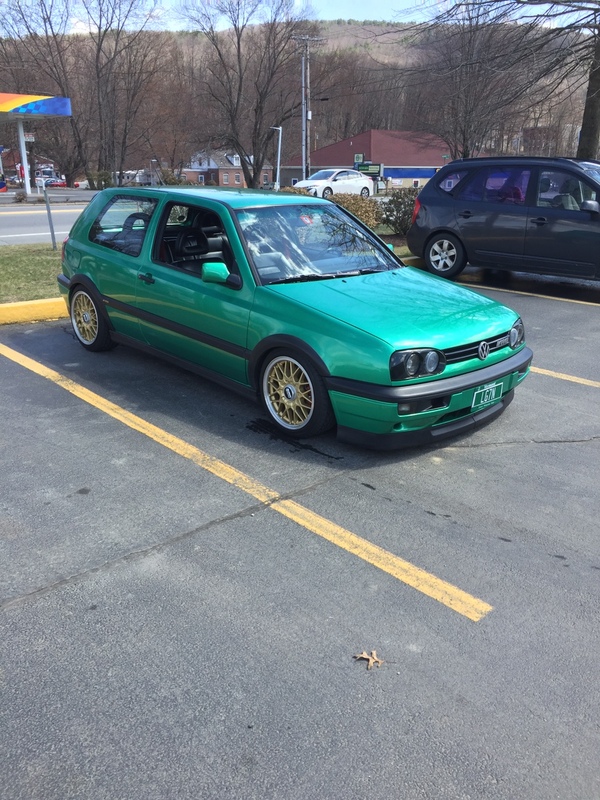 So you want to make your mk3 look like a mk4...should have kept the 3.5 Cabrio. It's cool you got the whole Cult kit, in keeping with the current retro styling trends. 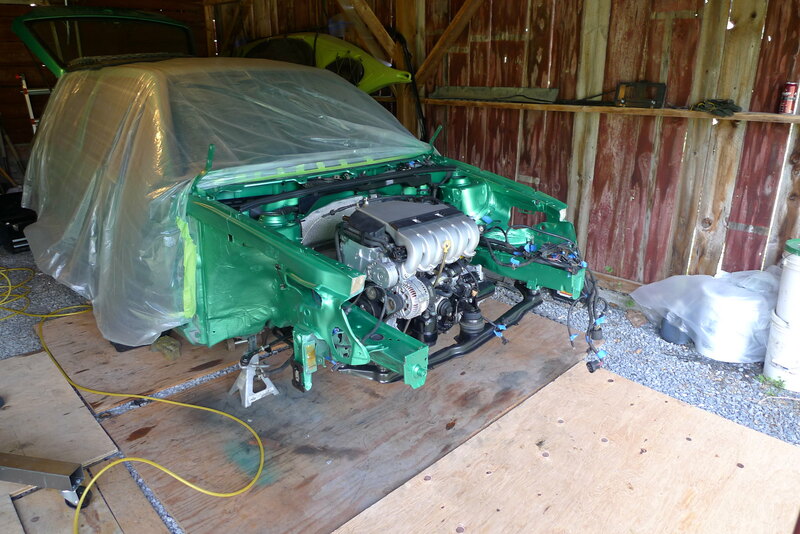 However, you won't catch any flack from me if you shelf the Cult front end and do a 3.5 swap. Yeah it’s one of those not for everyone things. I like it because it’s a piece of MK3 history and I think once I’m done I’ll execute it well. It’s a either you hate it or love it look. I’ve always loved it and want to have smoothed arches trim color matched like the OG Cult car had. The blue one. The 3.5 does look great but only if you do the rear also. I think it can look good if done right, like garbage if not, and I know many think it just looks like garbage. You are correct that it's not to everyone's tastes. If it makes you happy that's really all that matters, though. It's rare for a reason. Yeah.....never heard that one either. Almost as rare as matching Silver Arrows right? I don’t get it. I think you should explain. He’s an upscale private collector. Would be surprised if he could do an oil change. Professional at spending money on the worst cars to “invest” in and prone to narcissism. I find it all amusing. Ordered up a new battery, Mann filters, Redline gear oil, NGK wires and plugs, and going to rotate the tires. Lower the rear slightly. Change the steering wheel and drive it. 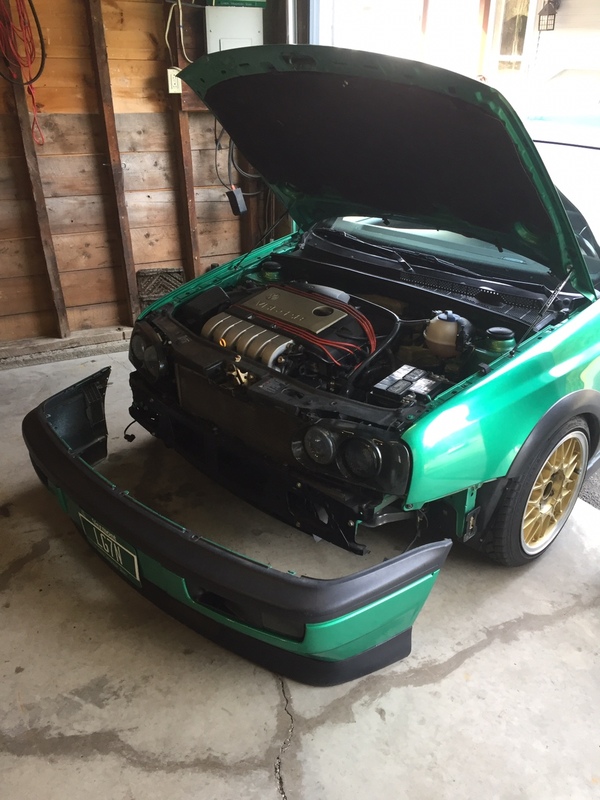 Pulled the front end off to give it a look over. Has held up well though the lower bolt on the front motor mount was gone. Who knows when that fell out. Replaced that and torqued it down to spec. It’s definitely not as clean as it was 4 years ago. I’m getting married in May, got licensed and took a full time clinicians position, and have my fiancé s sisters wedding too. Redoing floors upstairs in my house and building a screen house off the garage....will see how much car work I do. 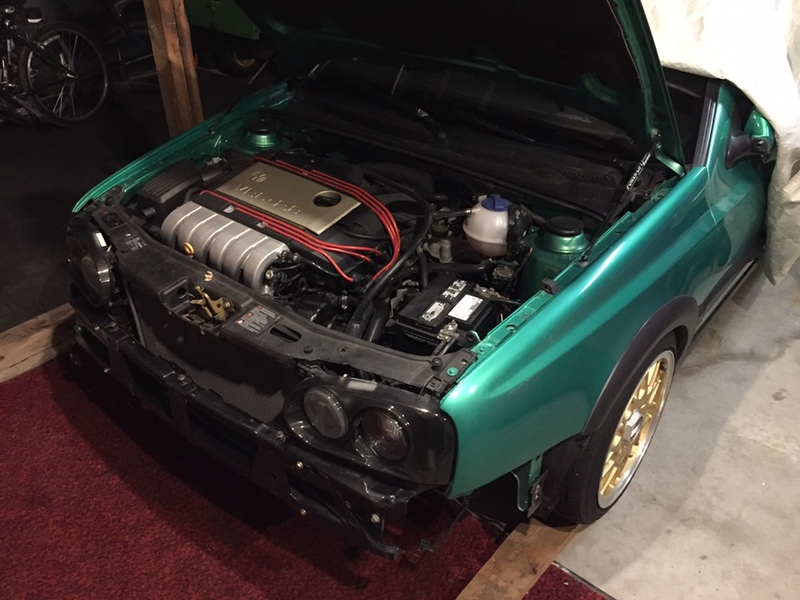 I also need to finish motor swap on that MK2 because I’m sick of looking at it. My car has been parked since October of last year and most likely it will move from 1 garage to another. Building a new garage very soon, repaving the whole driveway, electrical etc.... The car needs some body work and refinish the wheels. I also have boxes laying around of parts to throw at it as well but most of the money will be spent elsewhere. Kills me knowing I might not drive it this year especially since my 9 year old daughter is already asking when will I go get the car so we can go for drives. It would be cool to pass it along to your daughter someday. Called the interstate dealer and complained about the battery and they sent a new one down pro-rated for $78 which I was happy with. Fired right up. Waiting for my filters and wires. Nothing too exciting. After four years the paint and whatnot I used on engine and trans has held up well, as has the bay. Thinking about maybe putting on some glass headlights. Still looks great. May want to invest in a trickle charge for the winter storage if your planning on keeping the car longer. I have a nice one. Next time I’m just going to remove the battery and put in basement. It was just a bad battery. I’ve had Interstate batteries last 5 years plus before. This one was just over 3 years old. I had a battery go completely dead on my Tdi after letting it sit undriven for maybe 4-5 months. The battery was maybe a year old. Could not charge it. Luckily it was within the warranty period and I got a new one. I believe it was an exide battery, bought at Bj's. 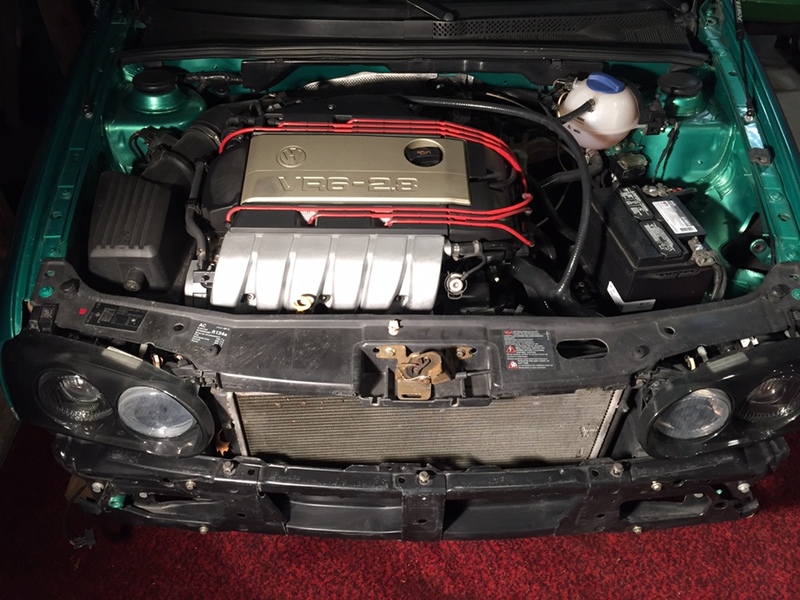 Nice clean engine bay. Is the washer tank deleted, or just out of the car for now? I think we had this discussion when you and I both were looking to replace coolant hoses. What kit did you go with there? if you are within driving distance of the border, maybe it would be worth it to come across and vist a Harbor Freight store on the U.S. side of the border. oh man, i almost choked.... did he really suggest international travel to Harbor freight???!!!! 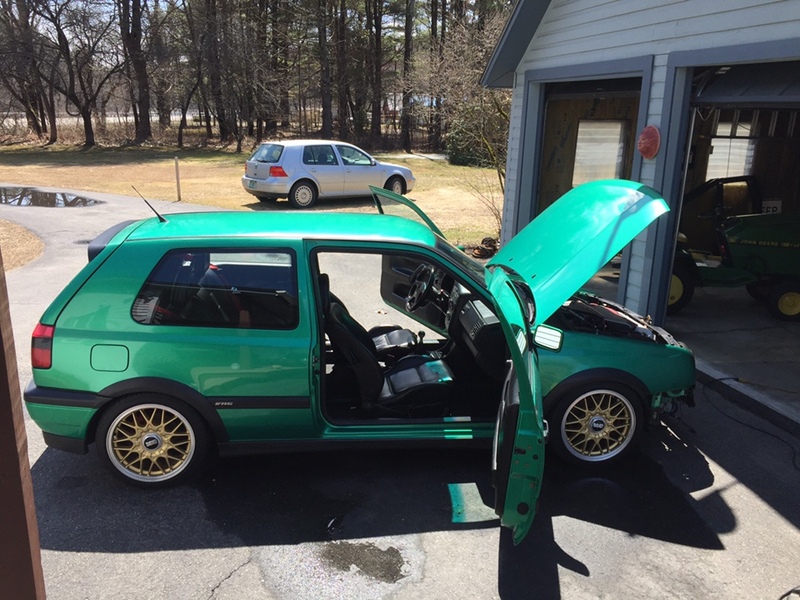 81 Rabbit, 85 Gti, 94 Jetta, 87 Gti16V, and 01 Gti. 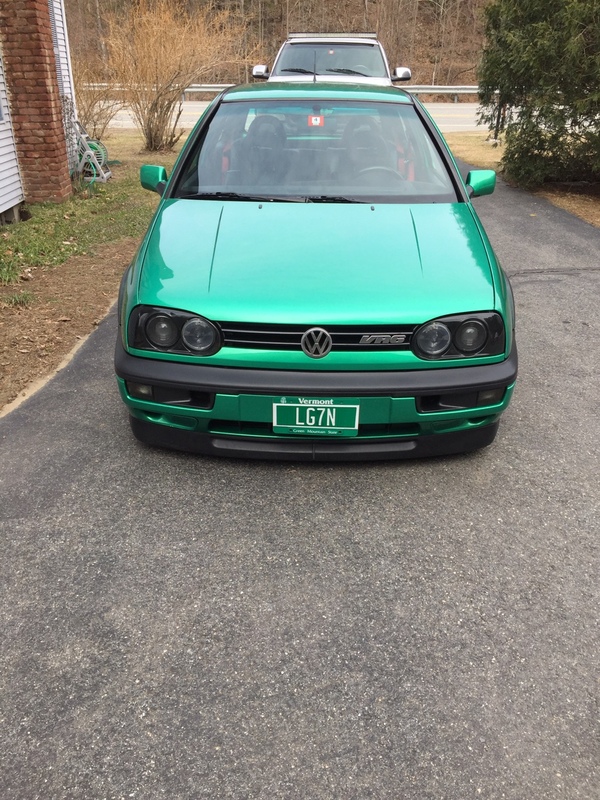 I've been running Interstate's in my VW's for 15+ years. I'll attest that they last forever too, I replaced one in my mk2 a couple of Falls ago, after 7+ years powering my mk2 and 4. Neve jumped on the Optima etc. train when these things are so damn trustworthy. Interstates are good. That’s why I got another one even though that one failed. Normally they do not. Yes I never bothered to put the fluid reservoir in. As for the hoses cheap China 3 ply for $49 shipped off eBay. Been on there years now and look the same as the day I installed them. You know what's fun? Logging into Vortex, for the first time in over a year, and seeing old threads still alive. It makes me feel good. 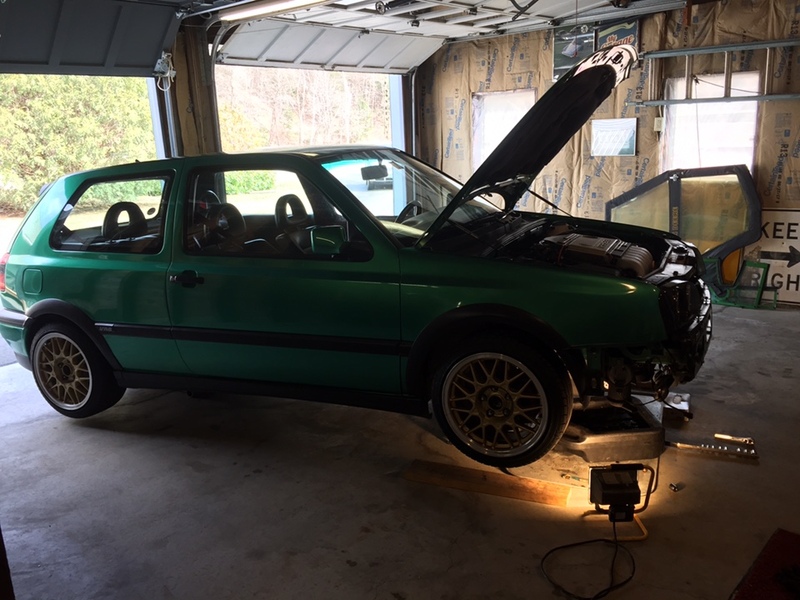 I drove my MK3 today, and it smelled of oil, and gas, and burning. It also makes me feel good. I'm drunk. And have nothing else to add. I'm glad the scene still has some life in it (i.e. : this thread). I remember this stage of your build. I'm not sure if you were allowed back on vortex at this time or not, but this was a good day. All the hard work started to pay off. 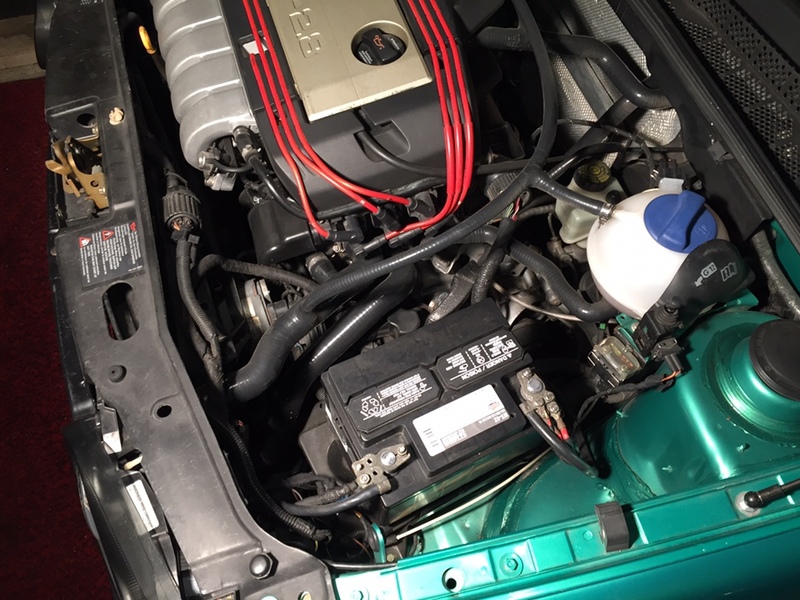 I believe this is the first pic of the engine in the car. Yep that was a lot of work. I’d never do that again lol. At least not in those conditions. Did all the maintenance ****. Though I think it could use a freshen up in the front end. 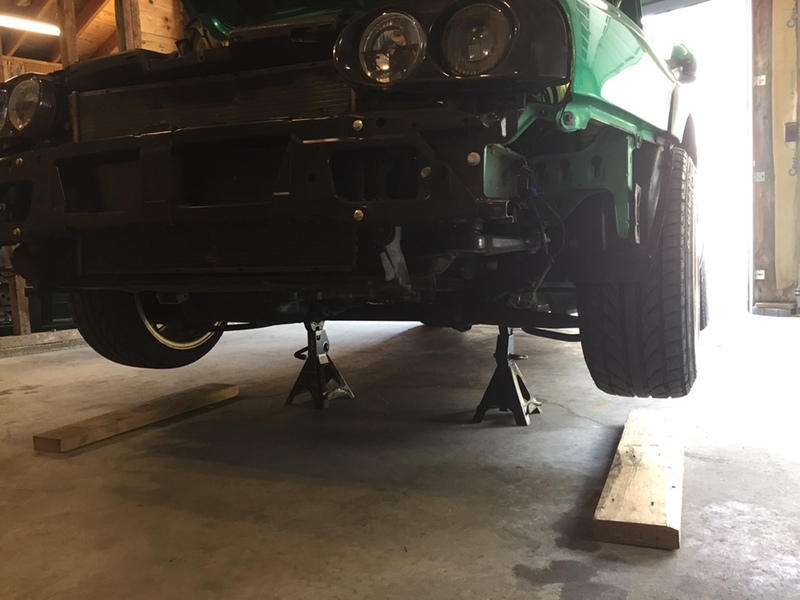 Rotated the tires. The oil filter was toast. Much better now. Took it for a spin. Never ceases to put a smile on my face. Especially that sound. It hit 75 here. Hadn’t cleaned the inside of this thing since last spring. Was going to do the 02A gear oil but got distracted driving it around since it was so nice out.